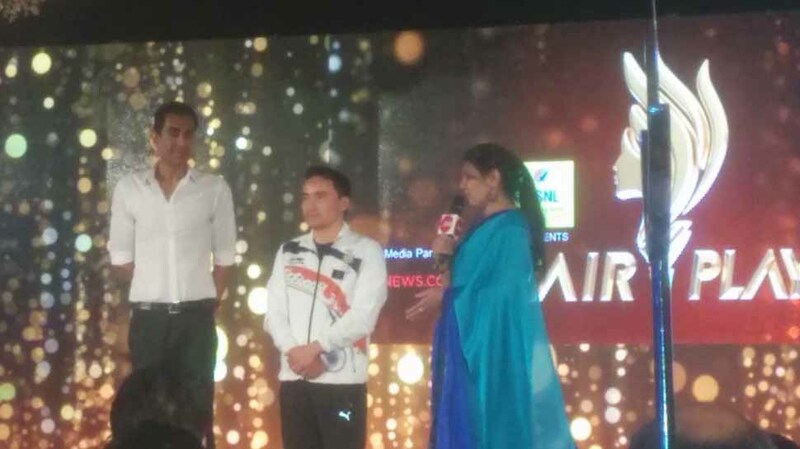 The ZEE News Fairplay Awards for Indian women athletes turned out to be a big success in New Delhi on March 21, 2018. 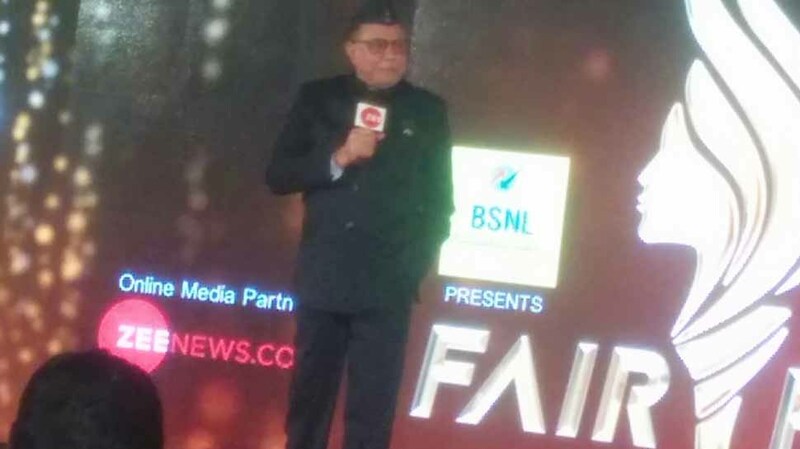 Hello and welcome to the ZEE News Fairplay Awards from New Delhi. A great many women athletes will be felicitated for making India proud in the world of sports. In the last few years, several women athletes from the country have made their mark at the international level. PV Sindhu, silver medallist at the Rio Olympics, Saina Nehwal, India's first Olympic medallist in badminton, and Saskhi Malik, bronze medallist at the Rio Olympics, are expected to attend the event in the national capital. Former athletes Anjali Bhagwat (shooting), Anju Bobby George (athletics), and Karnam Malleswari (weightlifting) are also expected to grace the event. The event will start around 5 pm IST. Stay tuned. The event comes to a close in New Delhi. 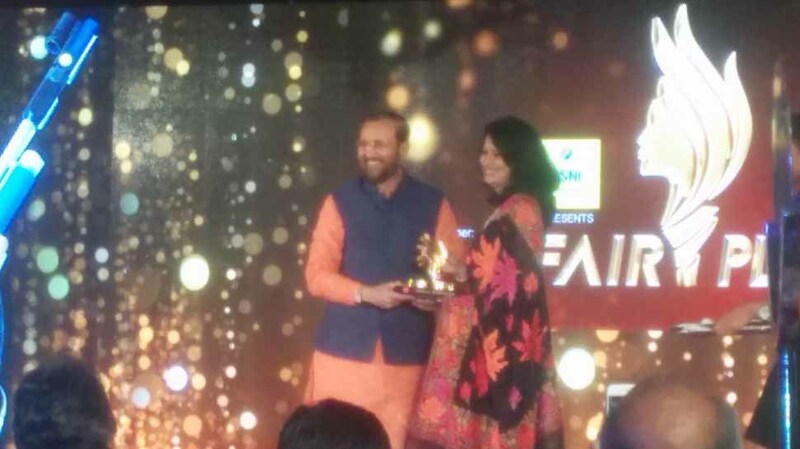 For the benefit of people who have joined us late, the following have been the recipients of the ZEE News Fairplay Awards: Sania Mirza, Saina Nehwal, Anjali Bhagwat, Krishna Poonia, Deepa Malik, Dipa Karmakar, Karnam Malleswari, Anju Bobby Geroge, Yogita Bali (on behalf of the women's hockey team), Sunil Dabas, Sakshi Malik, MC Mary Kom and last but not least, the Indian women's cricket team. That's it from us. See you soon. 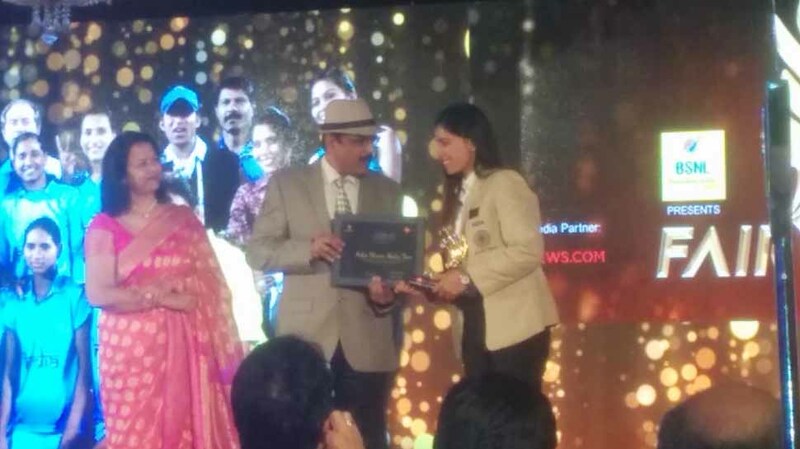 Sakshi Malik, who won bronze in wrestling at the 2016 Rio Olympics, is also among the awardees. Sakshi won bronze at the 2016 Rio Olympics in the 58 kg category. She is the first female wrestler to win a medal at the Olympics for India and only the fourth female Olympic medallist from the country. She has also won the silver medal at the 2014 Glasgow Commonwealth Games and bronze at the 2015 Doha Asian Wrestling Championships. 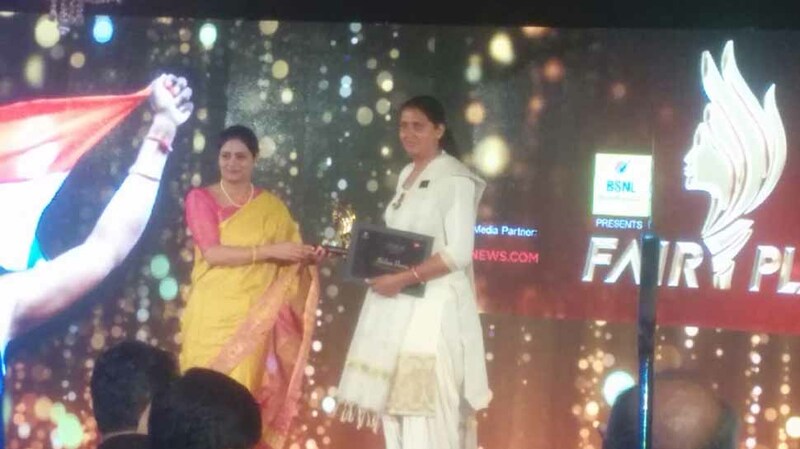 Meanwhile, the Indian women's cricket team has also been given the ZEE News Fairpay award. Not a very popular name, Sunil Dabas's contribution is no less. She has coached the Indian national female Kabbadi team. Her team has won gold medals in the 2010 Asian Games and the 2012 World Cup 2012. She was honoured with the Dronacharya Award in 2012 and Padma Shri in 2014. 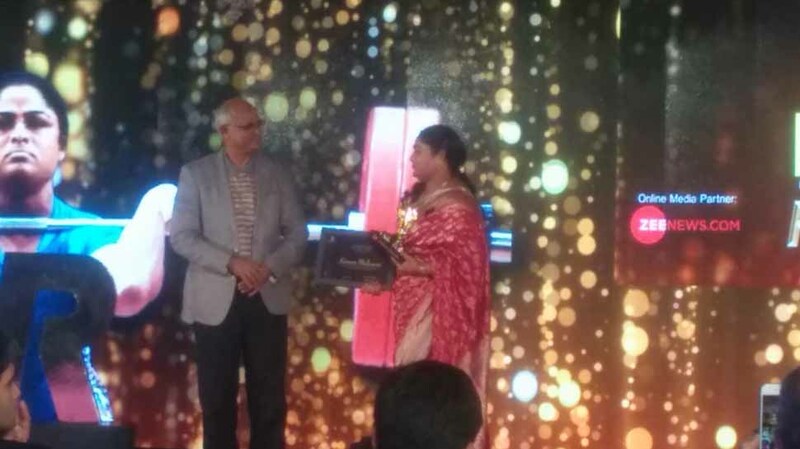 And here she is to accept the award from shooters Jitu Rai and Manavjeet Singh Sandhu. 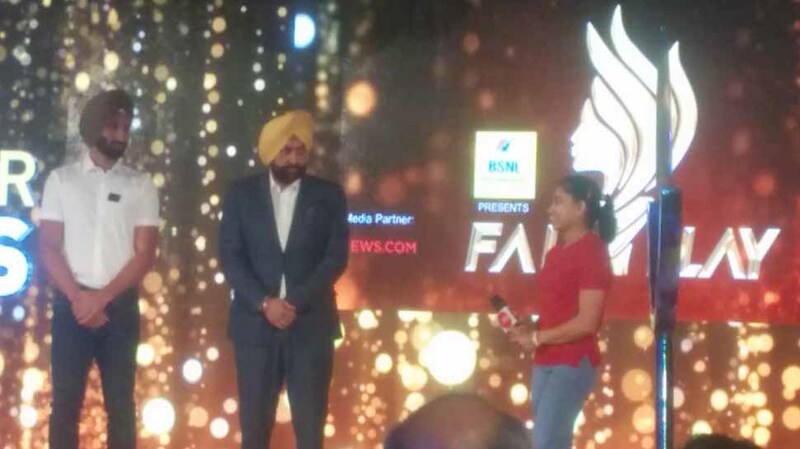 Yogita Bali, who has represented India in the capacity of a goalkeeper, now comes on stage to take the Zee News Fairplay Award on behalf of the entire women's hockey team. And who can forget Anju Bobby George and what she did for the country! Huge contribution to Indian sport and here she is to receive the award. She was a heptathlon athlete to begin with but soon moved to long jump. She made history when she won the long jump bronze medal at the 2003 Paris World Athletics Championships. It was the first time that an Indian athlete had won a medal in a World Athletics Championships. She also bagged gold at the IAAF World Athletics Final in 2005. She took part in the 2004 Athens Olympics and 2008 Beijing Games, She was awarded the Arjuna Award in 2002. On this occasion, Union Minister of State for Health and Family Welfare, Anupriya Patel, sends out a very strong message. Yes, we need to celebrate women's achievements. Now comes the woman who almost won a gymnastics medal for India at Rio in 2016. No prizes for guessing. It's Dipa Karmakar. She is the first Indian woman to represent the country at an Olympic Games gymnastics event. The girl from Agartala is also the first Indian gymnast to do so after the 1964 Tokyo Olympics. She finished a credible fourth in Women's Vault event at Rio. Dipa is one of only five women who have successfully landed the Produnova, the most difficult vault currently performed in women's gymnastics. She has been honoured with the Rajiv Gandhi Khel Ratna Award and Padma Shri. 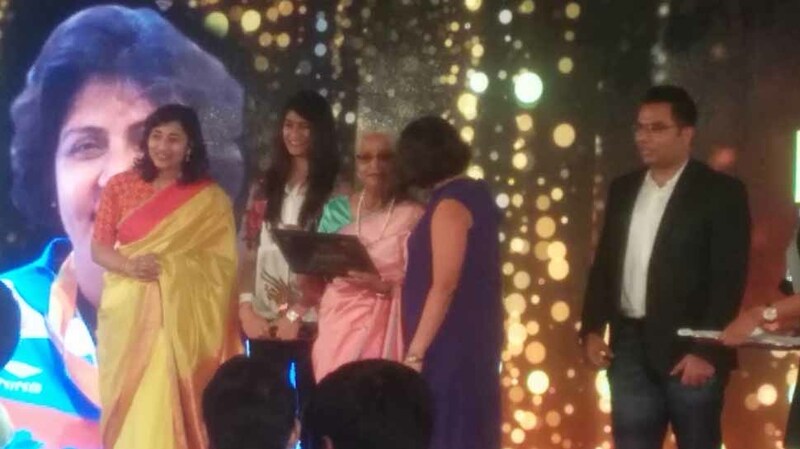 Deepa Malik's mother and daughter come on stage to receive the award on her behalf from hockey great Sardar Singh and shooter Ronjan Sodhi. Deepa is the first Indian woman to win a medal in Paralympic Games when she bagged silver at the 2016 Rio Paralympics in the shot put. She also has a gold medal in F-53/54 Javelin event at the para athletic Grand Prix held in Dubai in 2018. Coming from the defence background - her father is Colonel (retd) BK Nagpal and husband is Colonel Bikram Singh - she is currently the World Number one in F-53 category. She has been honoured with the Arjuna Award and Padma Shri. There is a heavy presence of ministers at the event. 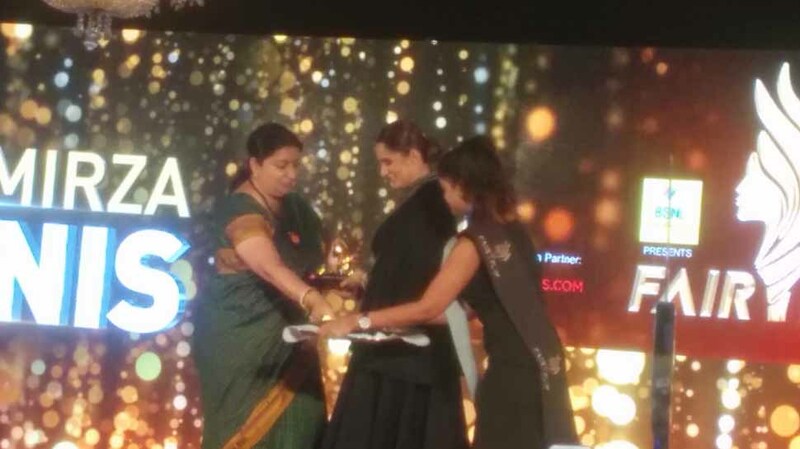 Minister of Human Resource Development Prakash Javadekar and Information and Broadcasting and Textiles minister Smriti Irani have already handed out awards to Anjali Bhagwat and Sania Mirza respectively. Krishna Poonia is the next in the list to be felicitated. Born in Haryana's Agroha village in 1982, Poonia is a discus thrower. She won the bronze in 2006 Doha Asian Games and gold in the 2010 Delhi Commonwealth Games. She has been honoured with Padma Shri in 2011. She has represented India in the 2008 Beijing Olympics and 2012 London Games. Badminton ace Saina Nehwal has suggestions that can bring out the best in Indian players and make them much more competitive at the international level. One couldn't agree more. Saina Nehwal and Sania Mirza are now in conversation with Sudhir Chaudhary. Saina credits her parents for the success she has tasted in the world of badminton. Sania, meanwhile, emphasises moving on from defeats is an important facet of the game. How quickly you do it ensures how long you will play. Sania also has a very important message for women. She says there is nothing impossible for women to achieve. Rajya Sabha MP Dr Subhash Chandra is now addressing the audience. 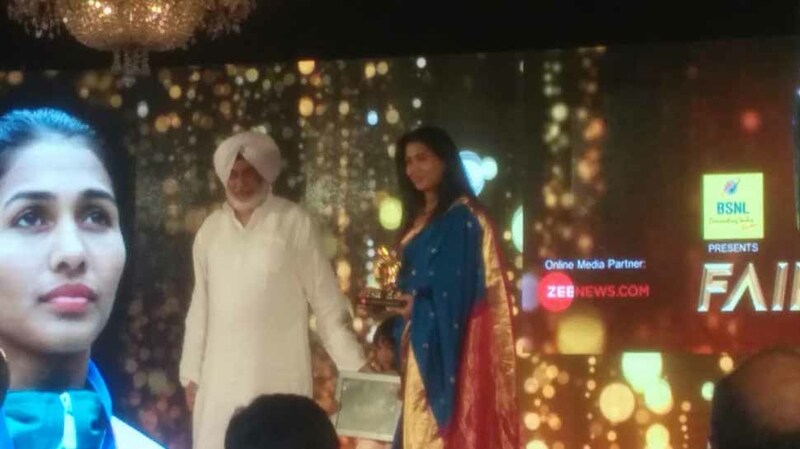 "It is a great pleasure for me that Zee Media is felicitating sportswomen. Women are more powerful and dedicated than men. In our society, the men have always looked down upon women. But women are not weak. We will strive to bring more sportswomen forward," he says in a motivational speech. Ladies and gentlemen, next is former shooter Anjali Bhagwat. The rifle shooter is the first Indian to win at the International Shooting Sport Federation (ISSF) Champion of Champions combined-air-rifle event when she emerged victorious in the 2002 edition. Anjali was the World Number One in 10m Air Rifle in 2002 and won her first World Cup Final in Milan, in 2003. Anjali has represented India in three consecutive Olympics. She was a wild card entry in the 2000 Sydney Olympics but reached the final, a first for an Indian women shooter. She dominated Commonwealth Games in the 10m Air Rifle and Sports Rifle 3P events and won 12 gold and four silver medals. She has won 31 gold, 23 silver and seven bronze medals in international competitions. 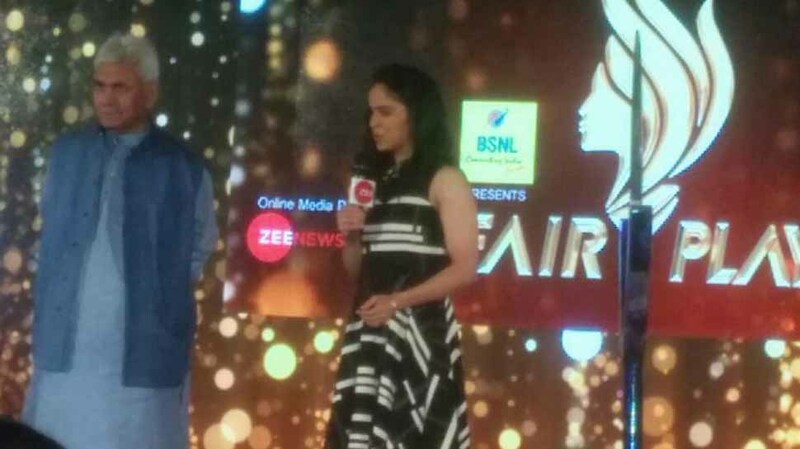 Badminton ace Saina Nehwal is next. The 28-year-old is a household name and synonymous with women badminton in the country. She is a former World Number 1 and has represented India in three Olympics - Beijing 2008, London 2012 and Rio 2016. She won the bronze medal at the London Olympics. She has over 23 international titles in her kitty. The government has honoured her with the Rajiv Gandhi Khel Ratna, Arjuna Award and the Padma Bhushan. India tennis star Sania Mirza is the first to be felicitated.The girl from Hyderabad showed the world that Indian women tennis players can compete with the best. Sania Mirza played in singles, doubles and mixed doubles events, and became the World Number 1 women's doubles player. She retired from singles in 2013. She became the highest-ranked Indian women player ever when she achieved the World Number 27 in 2007. She represented India in three Olympics - 2008 Beijing, 2012 London and 2016 Rio. The government has conferred on her the Arjuna Award, Padma Shri, Rajiv Gandhi Khel Ratna Award and Padma Bhushan. Times have indeed changed. There was a time when male sportsperson totally dominated the sporting scene in India. Not anymore, in the 2016 Rio Olympics, the two medals India got, they came from women, namely Sakshi Malik and PV Sindhu. That tells you how things have changed. We are still some time away from kick-off. Word is women's hockey and cricket teams will also be felicitated. The hockey team recently won 3-1 in South Korea after a dominating show, while Mithali Raj and her team made it to the 2017 World Cup final in England. Stay tuned. It's going to be a fun evening.